As the development of once rural areas increases, the opossum continues to be pushed out of its natural habitat and forced to live in a more urban environment. 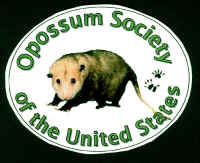 Opossums are extremely adaptable and have successfully made the transition to accept people as their neighbors. With a little tolerance and understanding you can do the same for the opossum, and we can all happily co-exist. By nature opossums are non-aggressive, non-destructive and do not pose a threat to humans. However, when threatened they will attempt to defend themselves. Our best advice is to enjoy watching the opossums, but leave them alone. Opossums should be allowed to live in their natural habitat. They are opportunistic animals and will often move into an area that has been damaged and then vacated by another animal. Unfortunately, the opossum is usually blamed for the damage. Opossums are transient animals, staying only 2-3 days in an area before moving on. Removal is neither necessary nor desirable. Wildlife experts agree that if opossums were eliminated from an area, the population of roof rats and other pests would proliferate. If you find an opossum continues to return to your area, try eliminating the things that are attracting it. Clear away bushes, woodpiles and other hiding places, pick up fallen fruit from trees, and do not leave pet food out over night. Try leaving an outdoor light on at night. Make the area where you live less desirable. At night, keep doors and garages closed, and close windows that are located next to tree limbs and fences.